We investigate linguistic phenomena which is one of key function of human intelligence, and create language processing system by computer. We investigate "Creative Information Retrieval" which assist human association. We extract semantic relations among words from lexicons and documents, and create conceptual network which enables to simulate human association process. 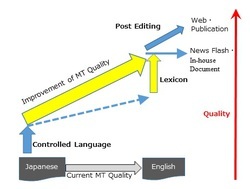 We are developing three approaches for making machine translation practical; i.e. 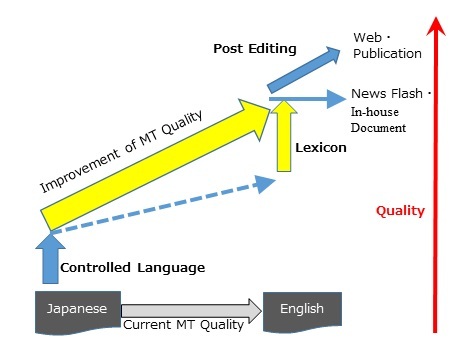 simplifying the Japanese source text, extracting and listing salient expressions and their equivalents in a document and enhancing the post-editing process. This study is important from both a business perspective and an academic perspective.